(NaturalNews) If you choose to vaccinate (or believe you have no choice), it's time to detoxify. This is not an article intended to debate the efficacy of vaccinations, but merely to address the toxicity from vaccinations and advise on elimination of the toxins. Regardless of what your position on vaccinations is, any rational person cannot deny that the ingredients in vaccines are toxic. In fact, almost every single ingredient in any immunization is toxic to the human body. Besides the vitamins and minerals, nobody in their right mind would drink a concoction with any one or combination of most of the vaccine ingredients (and those vitamins and minerals they add are toxic, too). Most vaccinations are directly injected into our bodies, allowing the ingredients to directly enter the bloodstream, which rationally, seems like an even more dangerous approach. Vaccine ingredients (adjuvants and preservatives) and substances used in the manufacturing process, including vaccine-production media that are present only in trace quantities, include: sucrose, fructose, dextrose, potassium phosphate, FD&C Yellow #6, aluminum lake dye, fetal bovine serum, sodium bicarbonate, monosodium glutamate, aluminum hydroxide, benzethonium chloride, lactose, aluminum potassium sulfate, peptone, bovine extract, formaldehyde, thimerosal, ammonium sulfate, formaldehyde, glutaraldehyde, bovine extract), calf serum, aluminum phosphate, aluminum hydroxphosphate sulfate, and ethanol. Vaccinations also contain many inorganic minerals, vitamins, amino acids, salts, and sugars. Much of the vaccine material will not leave the body without assistance, especially with a typical modern lifestyle and diet. 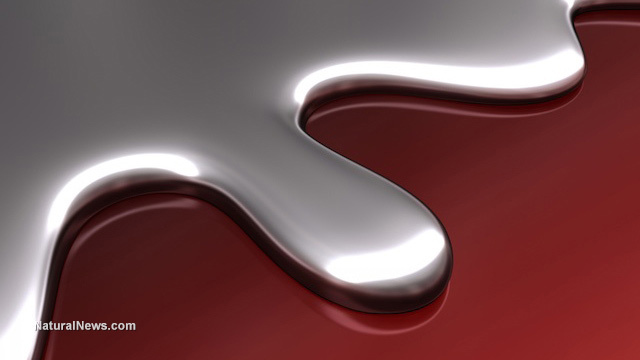 The goal in order to detoxify from vaccinations is to flush the body of toxins, including heavy metals. There are a few good supplements available for chelation, but it can also be done with the right foods. Along with a healthy diet, the best ingredients for a natural heavy metal chelation regimen are chlorella, cilantro, citrus peels, spirulina, and garlic. Most vegetables have some chelation properties, and eating combinations of vegetables increases their ability to chelate exponentially (this is true for all the health benefits). Make salads with more than ten different vegetables with lots of cilantro, avocado, and garlic every day. Avoid sugar, and avoid any and all refined, processed, manufactured foods. Sugars are present in vaccines, and sugars suppress the immune system. Sugars also feed parasites, viruses (indirectly), fungus, bacteria, and any other little creature that wants to harm us. These refined sugars travel through the bloodstream to wherever infection can be fed. As mentioned, lots of garlic is recommended, as well as the following supplements: oil of oregano, Echinacea, goldenseal, and goldthread. These supplements, especially when used in conjunction with each other, will help purify the blood, remove toxins, and keep any infectious agent at bay, all while helping to repair the immune system. In addition to those supplements, a B vitamin complex is recommended for a few weeks after immunizing. Formaldehydes, and metals like mercury and aluminum make assimilating B vitamins more difficult. Until the heavy metals are removed, the solution is to take a high quality B complex supplement and to make sure the digestive system is as healthy as possible. Cranberry stevia lemonade, exercising, and hot & cold hydrotherapy can also be a huge help with detoxifying the body. Regardless of their efficacy, the irony is, the healthier a person is, the less benefit they could possibly derive from vaccines. After this kind of detox (the level of detoxification required to remove the toxins from immunizations) your body will have true immunity for disease. For more on this regimen (cranberry lemonade recipe, hot & cold, supplements etc. ), see How to Detoxify from Vaccinations. Allene Edwards first became interested in alternative medicine and holistic treatment modalities when she successfully used diet therapy to manage her children's ADHD. Later when she became chronically ill with an auto-immune disease that multiple doctors could not identify, much less cure, she successfully treated both the symptoms and the cause through naturopathic treatment and nutrition. She is the Managing Editor of Organic Lifestyle Magzine and a regular contributor.